Hey friends. You look really good today. Nice shirt. So, the other day, someone I work with (a genius, I might add) told me that they didn’t actually know anything about their job. I laughed it off and said they knew so much more than I did, they didn’t need to worry at all. Then they laughed at what I said, and said that I knew more than them! If not, good for you. Stop reading this and go enjoy your summer. If so, welcome to the rest of the world. Impostor syndrome is a real thing. Search for it all over the internet and you’ll find papers upon studies upon books upon articles of countless people going through the same thing. One day a couple of months ago at my internship, I wrote this fairly simple application for my team that would make one of their projects run more smoothly. When I showed it to them, I was terrified that they’d just be like, “that’s nice, Cassidy,” then go on with their work. But then a miracle happened. They were impressed. They asked how I did it. They asked if I’d talk at a lunch about the language and algorithm I used. I’m not saying this to brag. I’m saying this out of pure shock. I came to a realization that can be explained by the following. I assumed that everyone around me was a super genius programmer, because they seemed like it. But in fact, everything I knew was not in their repertoire. I could teach them as they were teaching me. What?!? 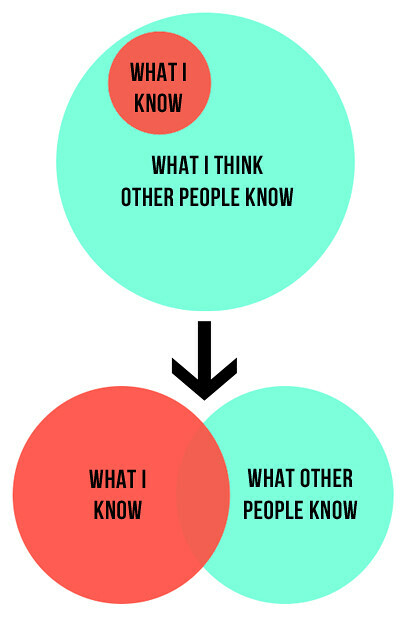 So, how do you destroy the Impostor Syndrome? Here’s a few tips. Be confident. Don’t just wait until you feel confident to act like it. Admit when you don’t know something, and be authentic and accept that you don’t need to know everything. Communicate and seek encouragement. It sounds like silly advice. But sometimes, you need a pep talk. When you’re feeling down about yourself, tell a parent, a teacher, or a close friend. Be willing to accept their encouragement and don’t just tell yourself that they’re just being nice! If you accept and internalize what they say, you might just live by it. Take risks, and get out of your comfort zone. When you tell yourself that you “fooled them again” or that you “got lucky again,” you’re going to start avoiding taking on challenges and opportunities just in case you won’t be able to pull it off like last time. Take that hard class with the difficult professor, take on the tough assignment at work, join a team that you feel is better than you are. You learn the most when you challenge yourself! So, with that, good luck. I know this was a lot to take in, but I want to tell you that you are great. You are smart. You’re about to go to the best university in the world (in my opinion anyway, people probably have others), take on impressive courses, join clubs I never could, and be successful.